When one’s mind is cast over the low budget stream of cars, one’s mind is/was skeptical when the word Datsun GO is bandid about. There is a reason though, SAFETY (only driver airbag and no ABS), that was getting tongues wagging in the Mzansi crazy car corridors. 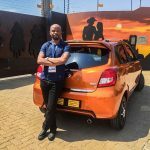 But turn that around to 2018 in Quarter 4, when an invite came along to attend the Press Launch and Drive of the Refurbished Datsun GO and Datsun GO+ hosted at Lanseria Airport. What was fascinating was what to anticipate and what is it that is on offer by the Japanese giant that used to prevail in these shores before. We were driven by a shuttle (yes , a Nissan Impendulo) to the venue where the test cars were. This event was clearly a feel the Japanese to the core kind of gist, as being in a taxi reminded some of us how we used to commute in these TRIED and TESTED wheelers. Variety of colors and options are available this time around on the GO, and the stand-out color was the Orange-Gold. With others ranging from White, Silver plus added stripes on other models. 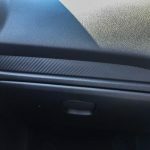 Can also add exterior accessories such as the roof-spoiler, roof-rails and silver bootlid in which they only serve as cosmetics and accentuate the look of the GO.. The 14’ inch alloys which are silver-colored dominated with blackened inside coating looks perfect in the ride either when it is in motion or standstill. Reverse Parking sensors are standard on all the GO, and that is such an attractive feature to a new purchaser who is still uncertain about their driving skill. The intermittent wiper blades that will sync in with the velocity of the rain (slow down if rain isn’t much, or increase the clearing depending how prominent it is raining). Daytime running lights you will find on the top spec of the GO(LUX), and it is such a view from the driver who is being followed by the GO to notice such, it is beautiful. 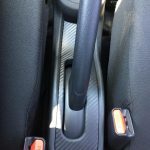 Without going too much into detail what captures one’s mind is the presence of Carbon-fibre lookalike material around the handbrake, gear-lever, around door handles and specific areas around the air-vents. Greatest news is that Datsun have eliminated that bench front seating which used to seat three people (reminds of those olden day cars),now it’s replaced by the split standard two seats. Now it is standard with the 7’ inch Multi Touch Screen Audio, which incorporates both Android and Apple Car Play. 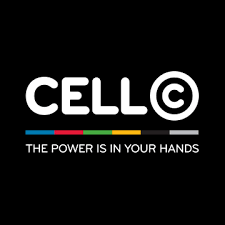 This will ideally attract Generation Y with what it offers, also your Bluetooth and USB Connectivity being as a standard. All the windows are electrically adjustable at a touch of a button. The gear-lever positioning was what almost threw me out, as it slightly forward and a raised position (like how you will notice some Cabs/Taxis are), I really needed some time in getting used to it. 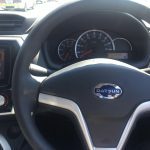 Datsun have worked tirelessly on this aspect, as it was generally a major concern for current and potential consumers. Dual Airbags and Anti-lock Braking System(ABS) have been added on the new GO. Also it comes with Immobilizer and Keyless Entry, which is too ideal in environments we live in. 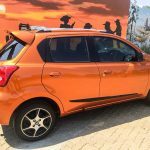 Themed with #DriveLifeToTheFull, we were indeed driving the Datsun GO to the Full on the Hot steamy Gauteng weather. This 1.2L Naturally Aspirated 3 cylinder car’s journey started on the back roads of Johannesburg West (Muldersdrift and Kromdraai) and you can imagine the level of the route that is for the one’s familiar with that site. It is curvy with long and short stints and added to that speed-humps to calm the traffic down. The suspension of the GO was tested to the core albeit we know it is a City slicker of a ride, and it didn’t do bad from the continual bashing of cornering after cornering. The wind-noise is manageable and impressive as the cabin was quite besides me and my co-pilot being all chatty. What I noticed was at high speeds where a certain element of puff wind can be heard, but only by the driver and non-so by the rest of the crew. As we entered Soweto into Maponya Mall, they eyes were all glued to this stylish designed car that and people couldn’t help staring at those purposefully made front bumpers. After the tiny break we took off from Soweto and headed to Pretoria through Johannesburg(M1 North), but the 5 speed Manual gearbox was handy to manage the heavy traffic we met under the M1/M2 Jo’burg bridge. The gear-lever I had to take some getting used to as I earlier described. It is most certainly a City-slicker as the gear changes are smoother as you climb them up, one moment I felt like an Impendulo/Quantum driver once the confidence had set in from familiarity with the stick. The clutch is excellently weighed and doesn’t feel like those other manual cars that can stall any second. The 7 inch Infortainment system was the order of the day when the traffic got heavier, and more so the Apple Car Play that we tested to the teeth. Need I have to mention Siri, whom she kept up with our silliness. 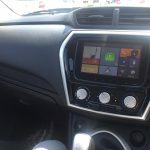 For a size and a budget of the Datsun GO, the technology on the car is awesome. As we made our way into the N1 and the traffic clearing up ahead, the Datsun GO was willing to GO and it munched right through to Pretoria with ease, and also with our journey back to Lanseria Airport, it was a breeze albeit we caught some road construction off the N1 into the N14. But the level of comfort was able to make the crew and drive to forget about how 36 degrees celcius felt like as we fully utilized the airconditioner. The 50kw of power that peaks @5500rpm and being accompanied by 104Nm of torque peaking at 4000rpm and ideal to deliver the manufacturer claimed fuel economy return of 5.2L/100km. Very attractive pricing for all in sundry, and my co-pilot is even considering one since he was so impressed with the whole packaging on offer. SERVICE PLAN: It is Optional, can be purchased from within the dealer, and I doubt it can break the budget. 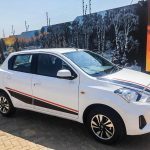 The Automatic version of the Datsun GO can be anticipated in Q3 of 2019.